and the global benchmark for quality design textiles of innovative functionality. 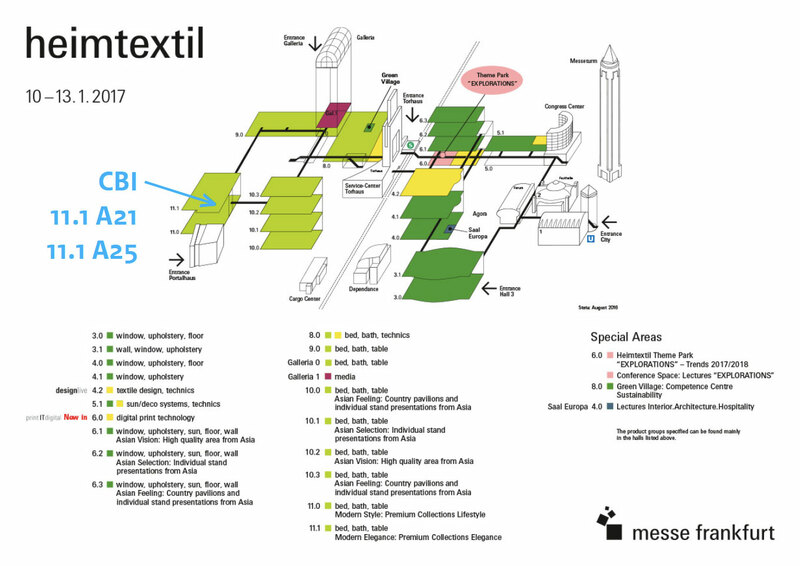 CBI introduces a variety of companies at Heimtexil 2017, focused on excellence. Suppliers that have trained extensively and are ready to form lasting partnerships with European buyers. Three companies will exhibit an eclectic mix of products. The products on display feature a wide range of home textiles, perfectly suited for the European marketplace: Exquisite cashmere blankets and throws, stunningly embroidered decorative cushions and the softest towels. As well as chic bedroomlinens and homewear. On top of that we will show a curated collection of textile products from 17 other suppliers from 9 other countries! What binds them is high quality and a love of design. The techniques utilized include intricate hand embroidery and sophisticated knitting and weaving. Meet them and our experts in Hall 11.1 Stand A21 and A25.